We’ve had some sun, along with some spring showers. Overall, I have to say it rains so much less here than in Salem. Before we moved we heard Zhytomyr was super rainy city. Ummmm no. No, it’s not. I can’t remember where we heard that, but the source needs to spend a winter in Salem to truly understand “super rainy”. I love you Salem, but I don’t love your rain. 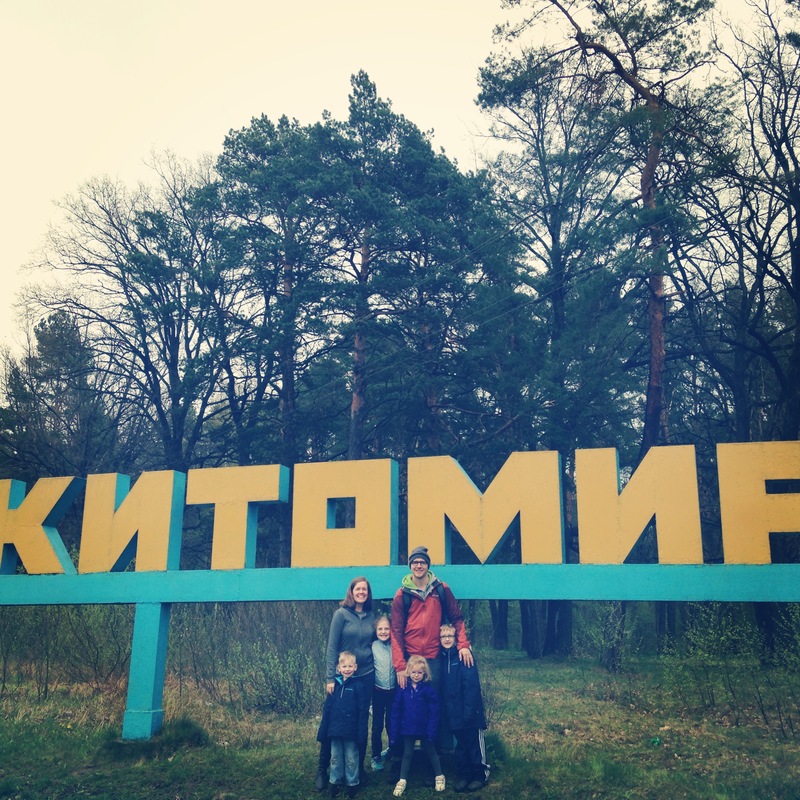 We went to Kyiv for Easter so we could be with our Vineyard friends. It was a great weekend with people we love, but hard too. We really missed our family and church family. It was a fun time, it just didn’t feel at all like Easter. I think next year, when I have my head on a little straighter, I’ll try to incorporate more of our US Easter traditions in to our Easter here. I think we would all really benefit from it- not just the kids. I think Jed and I are both still kind of processing all our feelings from this weekend. I’m trying to learn to grieve properly, and not just push feelings aside. I’m learning that grief isn’t a bad thing- or a “lack of faith” thing. Grief is a real thing that needs to be worked through properly. Sigh…more on that at a later date. Welp, I guess that just about does it. I had a super deep, share-my -heart-post planned for today, but I decided not to go there. I’m a little tired and I was afraid that would cause some emotional “spewage”. Hehe. I still want to share, but I think I’ll wait for another day. I hope you all had a fantastic Easter weekend!